Four bands coming together to have a hell of a good time! The venue is BYO, and is only $10 for entry. However, you MUST have a ticket or an invite to get in. 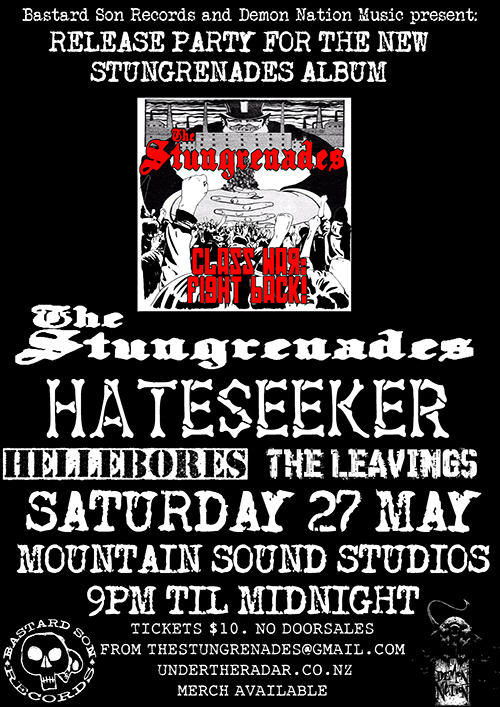 Tickets are available here or by e-mailing thestungrenades@gmail.com. Merch will be available including pre-sales of the new Stungrenades album. Bring your friends, have a good time and enjoy some hard rockin' sounds!